Rumors have been circulating the last few weeks about one of the biggest stars to come on the scene in the last five years. Numerous outlets have been reporting that superstar Drake is parting ways with Young Money. With all of the love he has given to Young Money, the members of Young Money, Cash Money, Lil Wayne, Birdman, and basically all of the Young Money Cash Money family, it is shocking to hear that Drizzy Drake is leaving the label. But when Drake spoke to the crowd at a concert this week, all fears were quieted as Drake shot down the rumors. Rumors may have stemmed from recent reports that the Lil Wayne and Drake collaboration album is being put on hold by Weezy F Baby. But Wayne put the brakes on the album because he did not want the album to be compared to Jay-Z and Kanye West’s Watch The Throne. The Young Money collab is still gonna happen, just not this year. 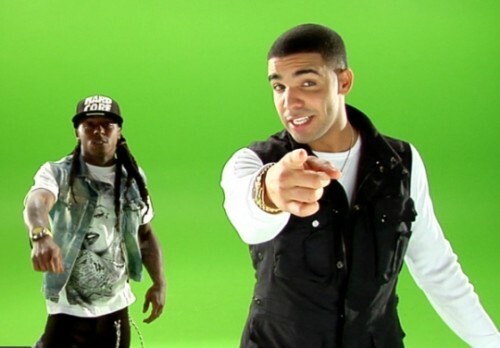 Wayne and Drake will both be on the new Young Money album YMCMB that comes out in early 2012.